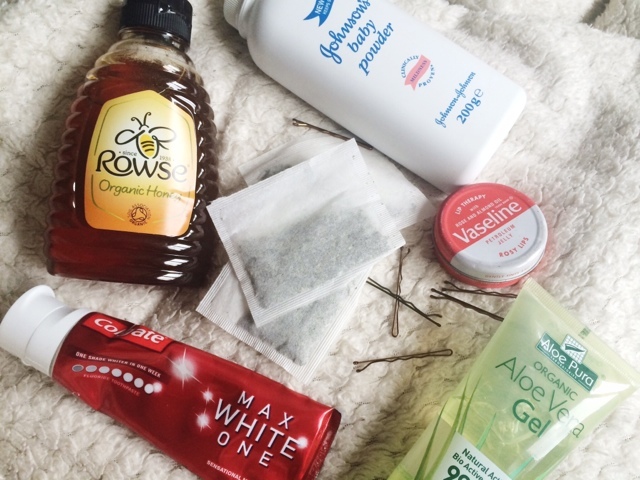 Here's my top 20 beauty hacks to make your beauty routine quicker, easier, cheaper and better. 1. Hair brush looking a bit grim? Use Soda water to clean hairbrushes. Simply fill up a glass or bowl with soda water so that it covers all the bristles of your hair brush. The bubbles in the soda water help to break down and remove any residue from the bristles. Mix some honey and water with one (maybe two) and apply under your eyes or as a face mask, this will reduce any inflammation or puffiness and the honey will soothe and moisturise. Also, add to shampoo for your own clarifying shampoo to get rid of dandruff and product build up. 3. Ran out of dry shampoo? Use cornstarch for blondes and cocoa powder for brunettes. It soaks up the excess oil and doesn't leave your hair feeling greasy, plus, it won't break the bank. 4. Want your perfume to last all day? Apply Vaseline onto the areas you spray your perfume and it makes your fragrance last longer. 5. Do your bobby pins always fall out of your hair? Spray hair spray on to bobby pins, and they will stay in your hair. Also spray hairspray onto a spoolie to tame flyaway hairs and to set brows in place. Suffer from hayever? Didn't get a good nights sleep? Keep some spoons in the fridge, and whenever your eyes are feeling puffy or irritated, hold the spoons onto your eye area, to de-puff and soothe. Forget the expensive moisturiser. Apply Argan Oil before bed for soft, healthy glowing skin by morning. 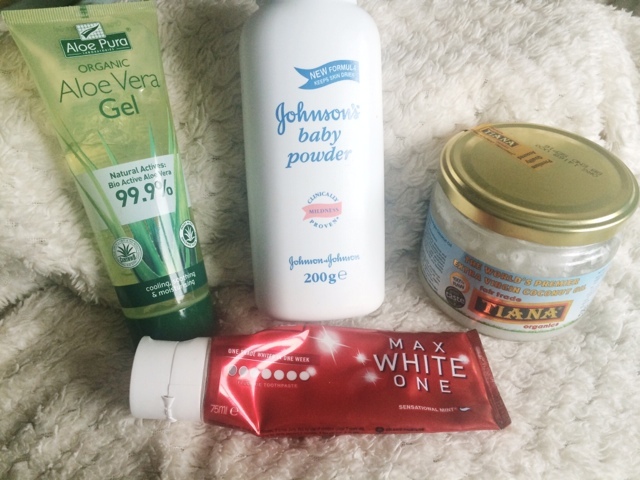 Need to soothe and moisturise irritated skin like eczema? Argan oil is perfect. Scars left over from breakouts? Stretch marks? Massage Argan oil into the skin and the anti-oxidants and vitamin E will get to work and reduce inflammation and fade those scars. They'll be gone in no time. Can also be used as a hair mask, can treat irritated scalps and dandruff, tames frizzy hair and adds a healthy shine. Your mascara not giving you the volume and drama you need? Make a baby powder & mascara sandwich to create amazing voluminous lashes. 9. Stained nails after a dark nail polish? Use toothpaste and a nail brush, scrub those nails and see those stains vanish. 10. Perfect eyeliner every time. Use a spoon to get the perfect wing, or use a business/credit card to help get that straight line for the wing. Using scotch tape is also a great way to get a nice crisp line for your eyeshadow and can be used as a guide for winged liner too. Use coconut oil or conditioner to shave your legs. Apply aloe Vera gel after shaving, or tea tree oil, baby powder, witch hazel, coconut oil and tea also soothe and heal razor burn, baby oil. Apply some toothpaste onto dirty trainers, buff with a cloth and they look brand new. Peppermint tea bags make perfect shoe odour killers. 15. Need your eye makeup to pop? Use a white base before applying coloured eyeshadow to make colours pop. For smokey eyes, apply a black base to deepen the look and also helps to make eyeshadows pop too. 16. 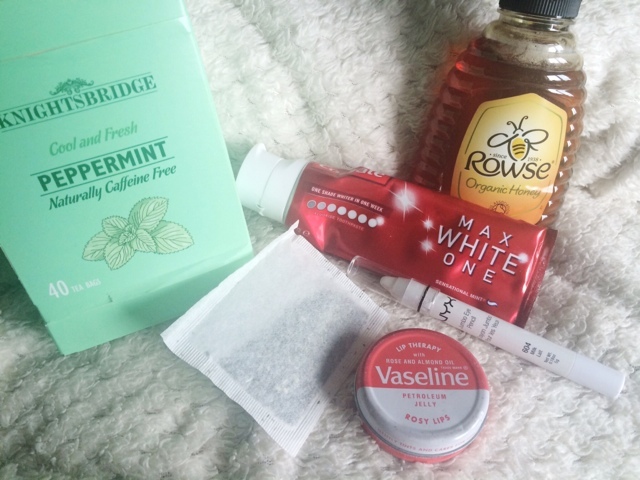 Got a tub of Vaseline lying around? 17. Burn yourself when curling or straightening your hair? Something I do every single time. Forget the ice and reach straight for raw honey. Leave on for ?? Minutes to soothe burn. Hang some eucalyptus in your shower, the steam will release beneficial oils, it's an anti inflammatory, anti stress and anti septic, perfect for a cold, relieving congestion and a stuffy nose. Eucalyptus oil is also great to keep handy for when you feel the first signs of a cold coming on. 19. Can't open that darn lid? It always happens, when there's no one around to help, there's always something you can't open, a jar or nail polish. Simply secure an elastic band round the lid and voila, you've opened it. Eczema? Psoriasis? Burns? Grazes? Sunburn? Forget the steroid creams, the expensive after sun and the prescription creams from your doctor. Try Aloe Vera Gel. This will soothe irritated skin, and skin conditions like eczema are dramatically improved after using this amazing product. 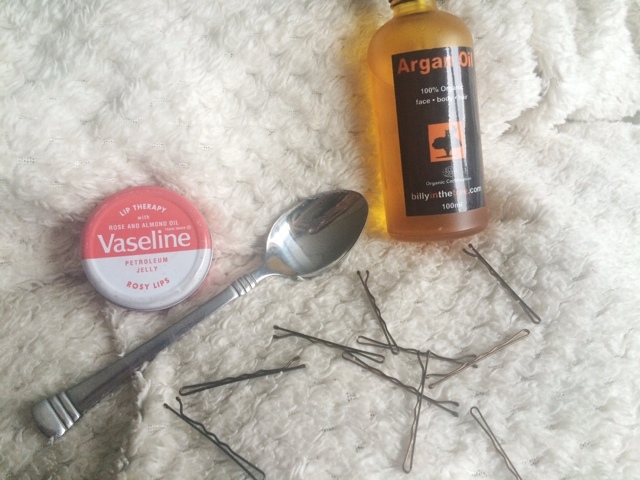 You can also mix it with coconut oil and vitamin E oil and create your very own eyelash serum (DIY coming soon). Affordable, easy and effective. 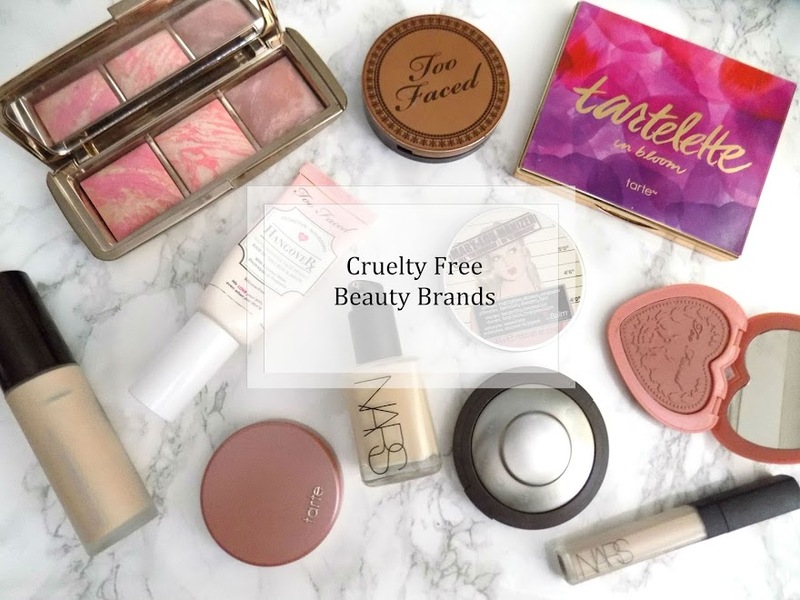 See some more uses for some of these products in next weeks theme week Organic Beauty. Do you have any beauty hacks?